Mike specializes in helping businesses solve their global patent challenges. He has prosecuted hundreds of U.S. and foreign-originated mechanical, electromechanical and chemical patent applications in a broad range of technologies, including consumer products, automobiles, power tools, medical devices, grain and animal farming, manufacturing equipment, control systems, fuel cells, global positioning systems (GPS), electroluminescent (EL) displays (including fluorescent substances), and light emitting diodes (LED). 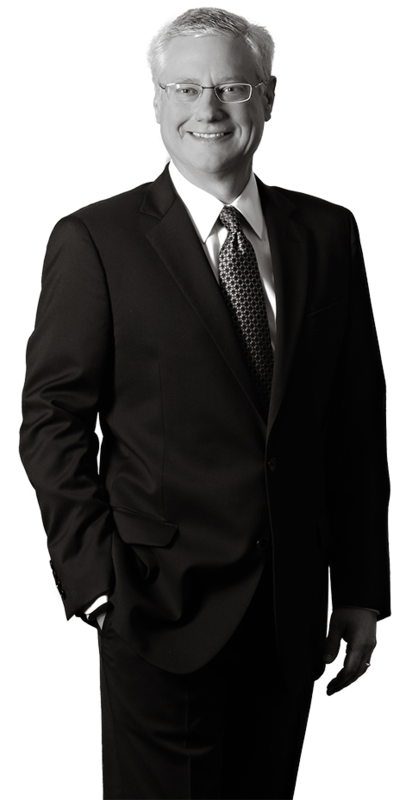 Mike has vast experience in helping businesses manage intellectual property related risks. He routinely prepares freedom to operate, validity and infringement opinions, and handles USPTO reexamination and foreign opposition proceedings. When partnering is the solution, he has negotiated hundreds of intellectual property related agreements, including licenses, joint development agreements, acquisitions and divestitures with and for Fortune 100 companies, universities, start-ups and the government. When disputes are unavoidable, he brings experience in litigation, arbitration and mediation (and is a trained mediator). As a frequent international lecturer, Mike’s presentations also focus on U.S. patent law, litigation and comparative negotiation. Mike has authored several papers on U.S. patent laws and procedures, U.S. litigation and comparative negotiation practices. Prior to joining the Firm, Mike was Associate General Counsel, Intellectual Property at The Procter & Gamble Company. He lived and worked in Japan for four years as the head of intellectual property for P&G’s entire Asian business, including Japan, China, Korea and India. He continues to work with companies from and operating in Asia, garnering him significant cross-cultural negotiation and problem solving expertise.